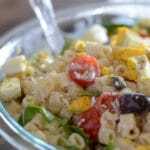 A Mediterranean twist to the classic mayo pasta salad, it is easy and colorful and goes well with your grilled meat and tasty and …. I might be a little biased here but this is REALLY DELICIOUS. 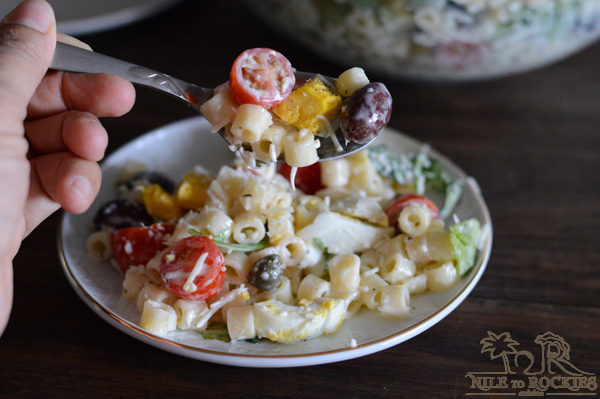 This pasta salad has a very creamy Italian dressing so dare I say it is a simple creamy Italian pasta salad recipe. Make this for dinner tonight and enjoy leftovers for lunch tomorrow. 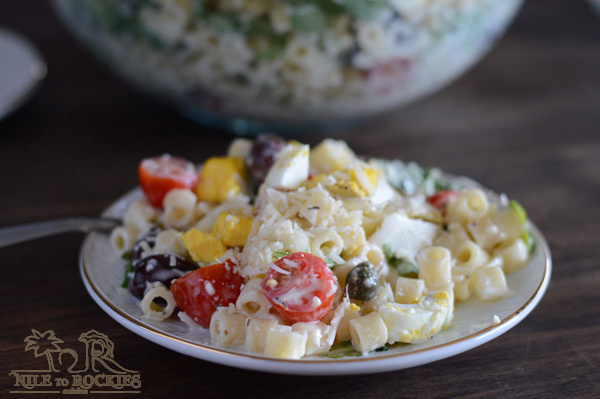 Pasta salad was not that popular when I was growing up in Egypt, now it is actually on every restaurant’s menu. 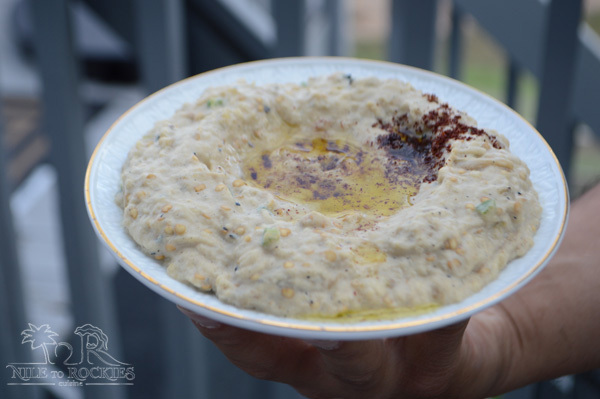 To my surprise I was never a fan of mayonnaise, and still am not that kind of girl who spreads mayo on every sandwich as I prefer tahini and baba ghanoush more, but I do really enjoy this recipe. My heart has nothing but love for the dressings made with mayo . 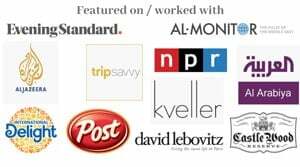 Of course I try to go easy consuming mayo and most of the time using the light ones, but I’ve never actually tried making my own yet. We were in that Italian restaurant lately and I had a very delicious salad but after a couple of bites, I sensed something in there ….. VODKA it was!!! I really hate these kinds of situations, when you start enjoying something just to discover it has alcohol or pork, things that we are not allowed to consume.. how frustrating is that. I remember one day we were in another Italian restaurant and I specifically asked the waitress to point out dishes that does not have alcohol or pork, so I picked up a dish, but this time with my first bite I could smell it.. there is something strange, and when I asked the waitress, she went back to ask the chef and she said it is only marinated in wine and it evaporates while cooking!!! I really wanted to #[email protected]&%*!, ok I’ll stop here. So, probably I will not go to an Italian restaurant again, at least until I visit Egypt, and this is a hard decision for me as we all do enjoy Italian food a lot. So I put on the chef’s hat and tried to get as close as possible to the culprit dressing, it is not exactly the same dressing but it is as flavorful and wonderful. 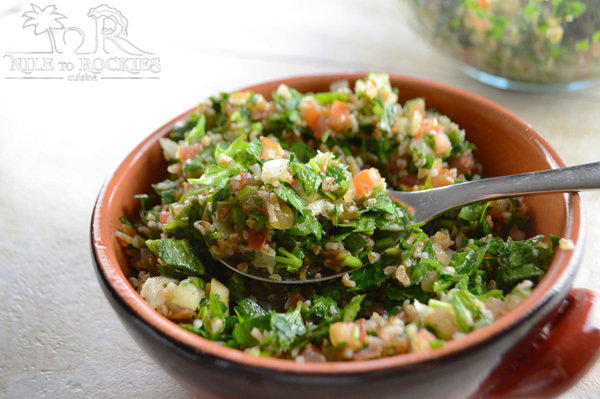 I used to make this salad to my oldest back in Egypt when he was one or two years old and he loved it ever since. 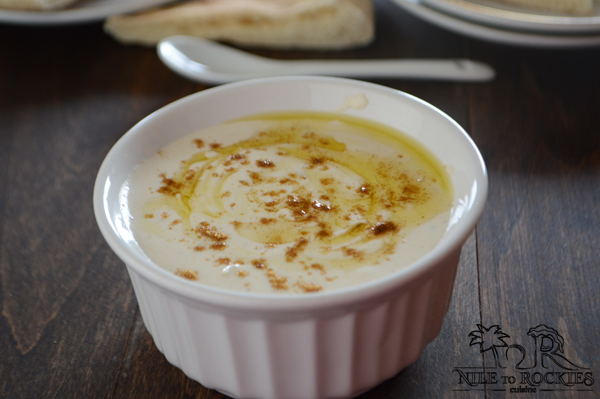 I made it this time with the help of this creamy dressing and it was delicious. Back then, I did not use arugula and used other fresh veggies, but I had a box of baby arugula in my fridge and it was screaming me me me so I had no choice. I also did not slice the olives as my kids love chewing on whole olives to get all the flavors in their mouth. Feel free to use canned tuna/chicken, leftover rotisserie chicken, cooked shrimps….. or go with the hard boiled eggs like I did. 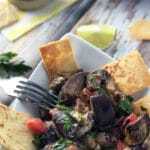 I hope you’ll like the recipe and try it soon… Enjoy!! 3/4 cup Kalamata olives- I used them whole but you can slice them of course. 1 cup grape tomato- cut in half. 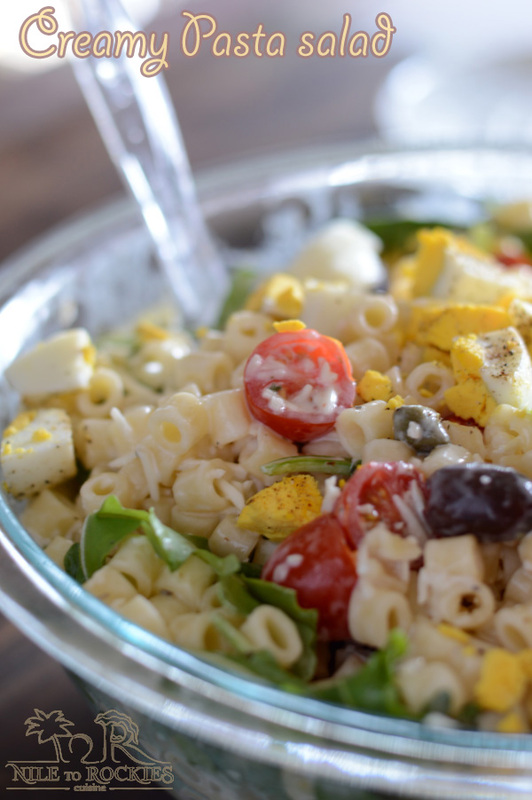 In a large bowl, combine all the pasta ingredients. Combine all dressing ingredients in a blender, mix until well combined. Pour dressing over the top. Toss to coat and serve immediately. * Using capers is optional but highly recommended. 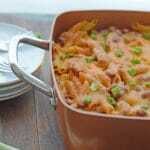 ** You can use leftover chicken or canned tuna as well. 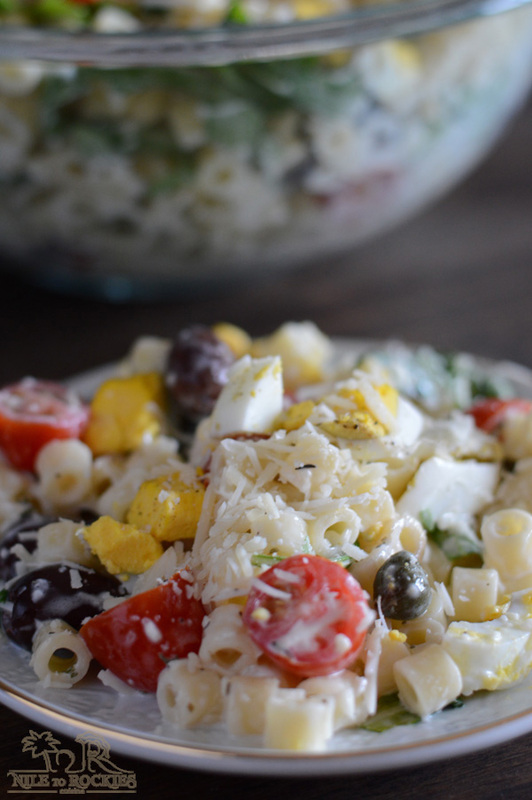 Need more salads to accompany your grilled meat? Nope, alcohol doesn’t completely cook out. Every chef should know that. Besides, alcohol is alcohol — if it’s in a dish, you really have to say so. Anyway, love salads like this. So refreshing at this time of the year. Thanks!